»Culture & Arts»Club GASS: Christmas Special – 15th December!!! 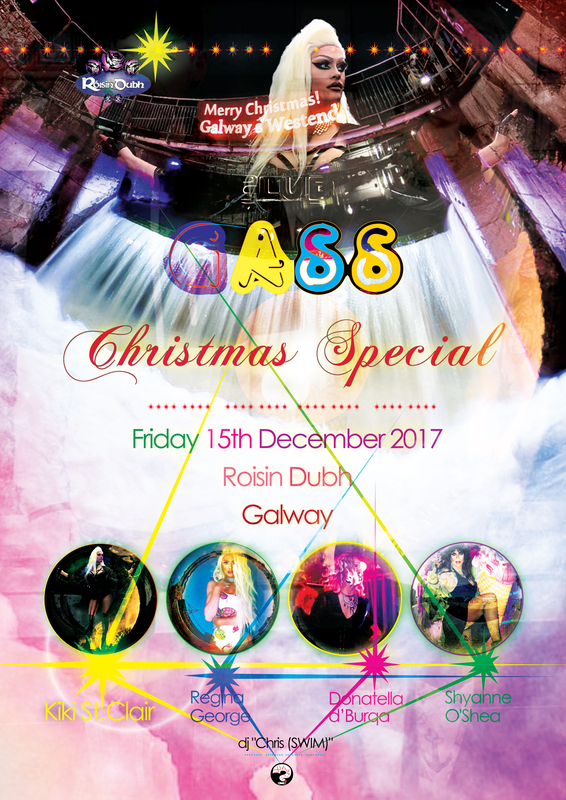 Club GASS: Christmas Special – 15th December!!! It’s the Club GASS night you’ve all been waiting for! Club GASS is having its Christmas Special on 15th December. This December extravaganza will be hosted by the wonderful Miss Kiki St Clair, and the entertainment on the night will be provided by lovelies, Regina George, Donatella D’ Burqa, and Shyanne O’Shea. DJ “Chris (SWIM)” will provide some amazing music, and it’s all happening at your favourite venue, the Róisín Dubh, Dominick Street, Galway. Go on, give yourself a little Christmas treat, and have a fantastic night at Club GASS on 15th!